Connie Weems-Scott is a principal partner with Searcy, Weems-Scott & Quinn in Atlanta, Georgia. 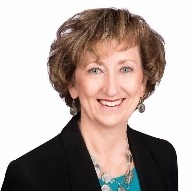 She is licensed as a CERTIFIED FINANCIAL PLANNER™ practitioner by the Certified Financial Planner Board of Standards, Inc., Washington, D.C. Connie earned a Bachelor of Science degree from Iowa State University, Ames, Iowa, in Industrial Administration/Marketing. She earned her Master of Science in Financial Services from the American College, Bryn Mawr, Pennsylvania. Additionally she has completed a multidisciplinary program of study focused on seniors’ priority issues. With more than thirty years in the financial services industry and several licenses and registrations in the area of investments and insurance, Connie assists motivated individuals, professionals and business owners to work towards their financial goals. (Securities registrations currently held with LPL Financial.) She is a frequent speaker to groups, associations and corporations, has been featured on radio and taught courses in financial management. She has specialized in working in the areas of retirement transitioning and estate planning. Connie is active with the Financial Services Institute, the Financial Planning Association, the National Aging in Place Council (NAIPC)/Greater Atlanta Chapter (Charter Member), her church, Girl Scouts of U.S.A. and local community. Having served as past President and board member of Women Healthcare Executives, she was named Woman of the Year 2004. She also served five years on the board of SafePath Children’s Advocacy Center, Inc., Marietta, Georgia. 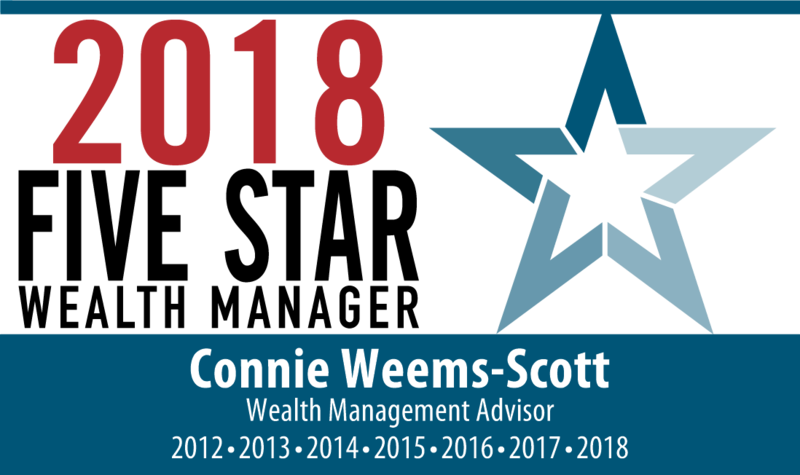 For the 7th consecutive year, Connie has been awarded the “Five Star Wealth Manager”* by Five Star Professionals and published in the Atlanta Magazine October 2018 issue. To Connie, family and community involvement are an important part of her life. She and her husband Gordon are adoptive parents. They feel blessed to be sharing their lives with two healthy adult children from Kazakhstan. Connie lives in Marietta, GA, and enjoys reading, running, hiking, boating, travel and theatre. *The Five Star Wealth Manager list is created by Five Star Professionals. The list represents wealth managers in the Atlanta area. The selection was a result of a rigorous process that included a regulatory and consumer complaint review and an evaluation of 10 objective criteria such as credentials, experience and assets under management among other factors associated with wealth managers who provide quality services to their clients. This recognition is from the largest and most widely published wealth manager award program in North America. Wealth Managers do not pay a fee to be included in the research or final list. Working with a FIVE STAR Wealth Manager does not guarantee investment success.